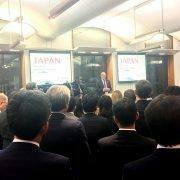 To strengthen Japan-UK collaboration and investment ties before, during and after Brexit, the Embassy of Japan and The British Japanese Parliamentary Group jointly hosted a reception at the Portcullis House, inviting MP’s and Peers, the FCO and representatives of Japanese and UK companies and media. 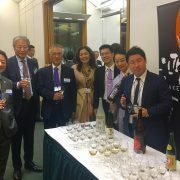 Sake Samurai UK was invited to support the reception and took the opportunity to introduce sake and Japanese culture to guests. The evening began with a series of speeches by keynote speakers: H.E. 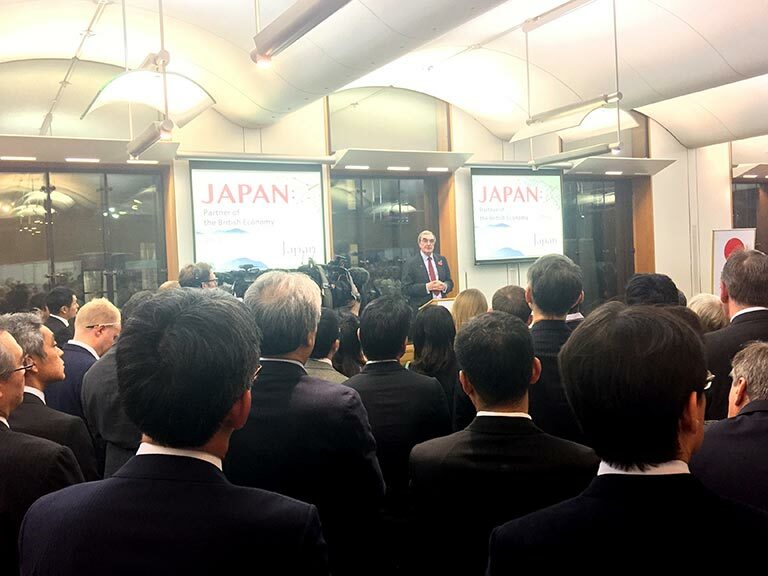 Koji Tsuruoka, Ambassador of Japan to the UK, the Rt Hon David Davis MP, Mr Paul Drechsler, the confederation of British Industry, and Mr Haruki Hayashi from the Japanese Chamber of Commerce and Industry. 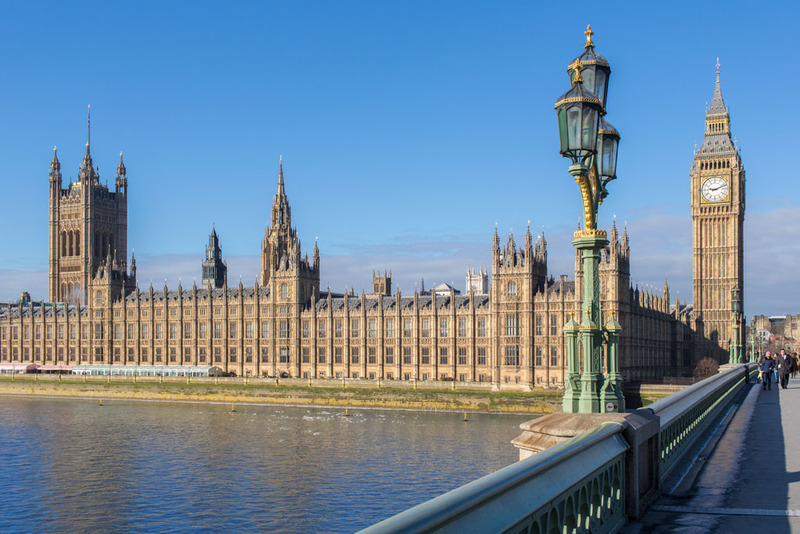 They each debated the impact of Brexit, placing particular focus on discussing strategies for a smooth transition out of the EU from a UK perspective, which would simultaneously benefit Japanese investment. 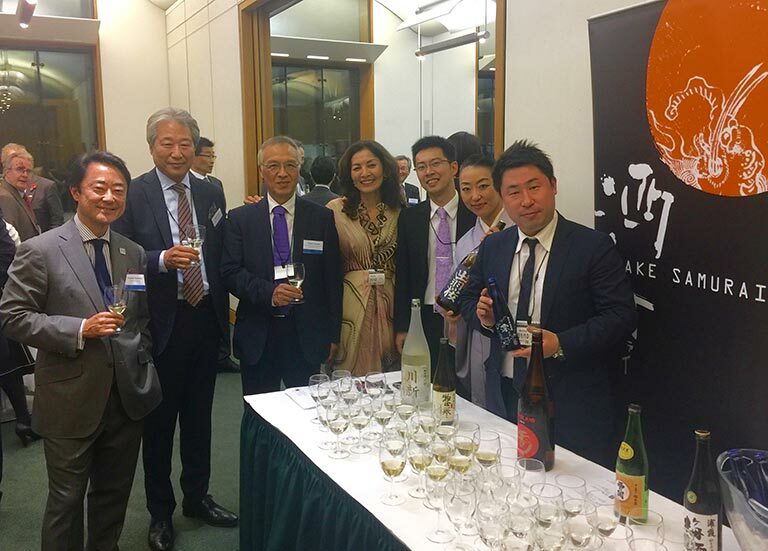 Since Sake Samurai UK last had the honour of introducing sake to members of the British-Japanese Parliamentary Group at a special event at the Houses of Parliament in 2014, the awareness and the presence of sake at the UK Houses of Parliament has been growing. Compared to the first event where content was designed for a novice audience, this second sitting yielded more profound discussion sake styles, prefectures, age and even milling ratios. 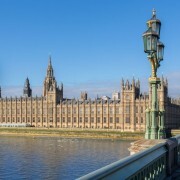 What a delight to see such progress!